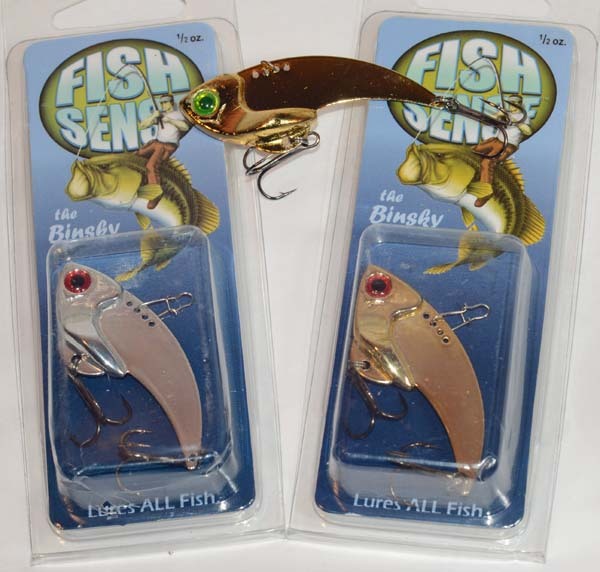 I just purchased an assortment of silver and gold “Binsky” blade baits. Years ago I had some success with a blade bait fishing for bass and walleye, with one of the largest walleyes of the trip caught with one in faster flowing water. I haven’t used one in a few years but these caught my eye. They appear to be well designed and have sticky sharp hooks. I’ll need to wait a few months for open season to try them (unless I make it out for some ice fishing). I’ll report back then with how I do. Update: I finally got some time to target smallmouth in cold water (47F) recently and let’s just say that these blade baits perform as advertised. 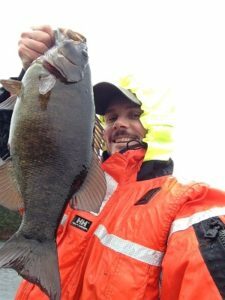 We were initially targeting smallmouth bass with live minnows on hard bottom shelves (at 20-30ft) adjacent to deep water where the smallmouth were feeding on large schools of ciscoes. The bite had slowed down so I switched over to casting the blade bait using the count down and yo-yo retrieve technique described below and picked up a few more bites. The following day my son borrowed my rod with the Binsky on it and he and his friend went out early morning. 30 minutes later they were back at the dock asking to borrow more blade baits as on six consecutive casts they hand caught six consecutive fish (sharing the one rod between them)! For much of the rest of the trip they and I fished these blade baits catching a variety of sizes of smallmouth and a walleye, eventually losing them to snags on the rocky bottom. I’ll definitely be rebuying some for next year. Allow the vibrating bait to fall on a semi taught line. If you want the Binsky to fall slower use a heavier line. Follow the metal lure down with the rod tip. Letting it fall with too much slack will allow the hooks to get caught in the line. Snap Technique – drop bait down to desired depth on a taught line, sharply snap the Binsky so it moves 6 – 18 inches vibrating vigorously. Then let the vibrating metal lure sink back down while keeping a semi taught line while simultaneously dropping the rod tip. Dead Sticking – works best when fishing below pods of bait with actively feeding fish. Drop the Binsky to the bottom and allow it to sit there motionless for 15-30 seconds. Twitch (move the bait a few inches only) the rod tip a few times causing the metal lure to shake. Repeat a few times, reel in and repeat. Yo-Yo Technique – cast and count down to desired depth, slowly work the bait back with a yo-yo motion as above. Slow-Rolling – cast and count down, jerk to initiate vibration, retrieve as slowly as possible while maintaining vibration, slowing raise and lower rod during retrieve (the slow roll). Lure Choice, Product Review, Tackle, Tips.